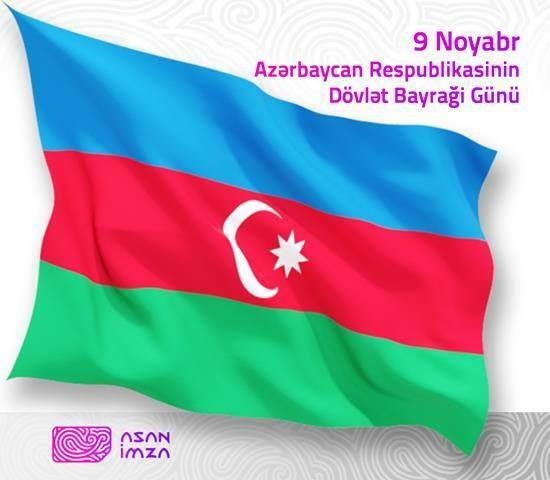 Today Azerbaijan people celebrate the State Flag Day. State flag of Azerbaijan which was adopted as a national flag for the first time by the decision of the Azerbaijan Democratic Republic dated 9 November 1918, and was used as a state symbol until April of 1920. On 18 October 1991, the Azerbaijan Republic, having restored its independence by a relevant Constitutional Act, while announcing itself the heir of the Azerbaijan Democratic Republic adopted the latter’s state symbols, including the State Flag. Asan İmza team warmly congratulates all Azerbaijan people on this holiday and wishes peace and prosperity.